My, my, some families really do not change their spots….! While researching fourteenth-century Northamptonshire, I happened upon Sir John Stanley (1350-1414). “Stanley’s father was Master-Forester of the Forest of Wirral, notorious for his repressive activities. Both Stanley and his older brother, William (who succeeded their father as Master-Forester), were involved in criminal cases which charged them with a forced entry in 1369 and in the murder of Thomas Clotton in 1376.” Nice guys, right? Stanley was found guilty, and outlawed. But because he was proving himself as a military fighter, he was pardoned—helped in this by Sir Thomas Trivet, who had a habit of getting scoundrels off the hook. He did the same for Sir John Cornwall, Senior, who was definitely a bad lot, but that’s another story. Well, although Sir John Stanley was a younger son, in 1385 he made a very fortunate marriage. In the teeth of strong opposition from John of Gaunt, he wed Isabel Lathom, who was heir to swathes of land in Lancashire. Stanley was on the up! 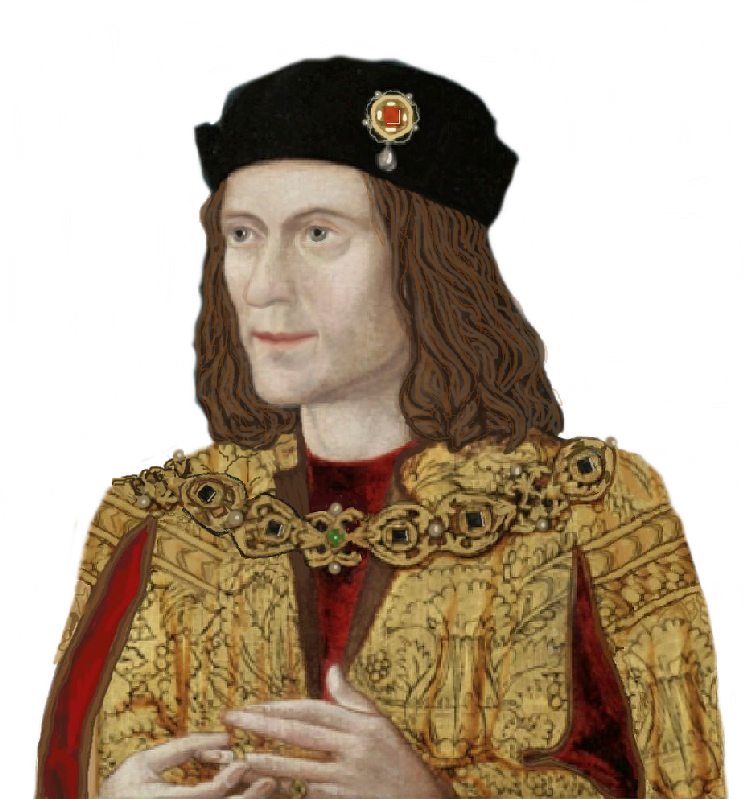 He did well under Richard II, becoming the deputy in Ireland of Robert de Vere, Duke of Ireland. Richard II chose Stanley as justiciar of Ireland, and he was very much part of Richard’s successful first expedition to that land. Next, Stanley was prominent in soothing trouble in Cheshire, and took part in Richard’s second, ill-advised expedition to Ireland. This expedition came to an abrupt end when Henry of Bolingbroke, Gaunt’s heir as Duke of Lancaster, who had been exiled by Richard, invaded England to take the throne as Henry IV. Returning to England, “Stanley, who had long proved adept at political manoeuvring, turned his back on Richard and submitted to Henry IV.” Richard was imprisoned and soon died under mysterious circumstances. So, the Stanleys were at it in 1399/1400 as well. 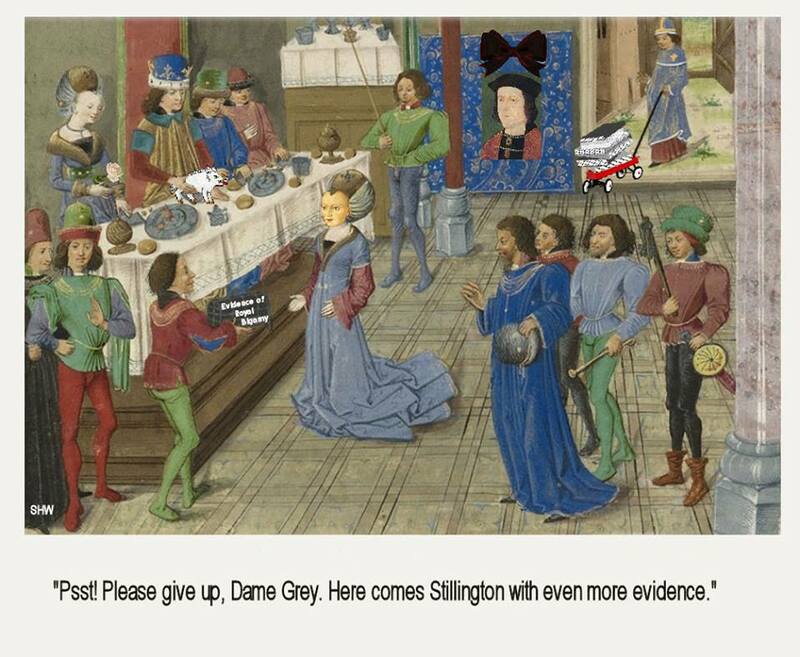 Political jiggery-pokery, deserting their rightful King Richard, and smarming up to the wrongful King Henry. But this one did well, becoming King of Man, a privilege he and his descendants enjoyed until the 18th century. http://www.cheshirenow.co.uk/stanley_family.html and http://www.isle-of-man.com/manxnotebook/people/lords/stanleys.htm. And see this list of offices held by Sir John Stanley. The ten worst Britons in history? This is a very entertaining and well-illustrated 2006 article, choosing one arch-villain for each century from the eleventh to the twentieth. The all-male list includes just one King but two Archbishops of Canterbury. While on a Cheshire road, Richard, Duke of Gloucester happened upon the retainers of Thomas, Lord Stanley…. In my other article about Richard’s support for the Harringtons of Lancashire against Thomas, Lord Stanley, * I promised to write more about Stanley’s treachery and thirst for revenge on Richard. Other events happened at around the same time as the Harrington/Stanley quarrels, indeed the two are contiguous, and this time Richard was responsible for Thomas Stanley coming off worse. At the end of the 1460s Richard took the side of the Harrington family against Stanley, who was trying to crush them and steal their property, especially Hornby Castle in Lancashire, which he particularly coveted. Edward IV decided in the Stanleys’ favour, even though the Harringtons had been staunchly Yorkist, and Stanley was…anyone’s guess, but beneath it all I suppose he was Lancastrian. No, he was a Stanleyite, only interested in his own wealth and advancement, and he didn’t care how he went about it. He must have felt smug and vindicated when Edward decided in his favour, but he wouldn’t forget Richard’s opposition. On 12th March 1470, a battle was fought at Empingham in Lincolnshire. Well, just over the county border in Rutland. It was to be known to posterity as the Battle of Losecoat Field. Hostilities first stirred when Lord Welles, a Lancastrian, plundered the manor of Sir Thomas Burgh, Edward IV’s Master of the Horse. Things went from bad to worse, and soon the countryside was in uproar. The bare bones of it are that Edward’s disgruntled brother, George, Duke of Clarence, deserted him to support the Earl of Warwick, who was (at this time) on the Lancastrian side. It is believed that Warwick and Clarence were behind the uprising which they intended to exploit to bring Edward down and (Clarence hoped) put him on the throne instead. But Edward moved swiftly, and took his well-trained army, complete with formidable hardware, to confront the much larger army of rebels that consisted of a rabble of common men. Faced with such royal discipline and fire-power, the ragtag rebels fled, casting off its coats as it went. Thus the Battle of Empingham became known as the Battle of Losecoat Field. The battle is commemorated in the hall of Oakham Castle, where there is a display of horseshoes, the oldest of which was presented by Edward after the battle. At the time it had the king’s coat of arms on the top and also the Rose of York on a red background. Warwick and Clarence made themselves scarce, riding for Manchester, where they intended to join forces with—guess who?—Lord Stanley! At this point, however, Edward did not know of Stanley’s duplicity. Richard did, however, having found out purely by chance. “…he [Richard] headed north on the Hereford to Shrewsbury road. As he was riding through Cheshire, Richard suddenly found his way blocked by followers of Lord Stanley. He scattered them and moved on warily, dispatching a warning to the king of Stanley’s hostility. “Richard’s intervention had come at an opportune moment. Lord Stanley, who was married to Warwick’s sister, had given Warwick and Clarence assurances that he would support them. As they moved northward, temporizing with the King, Stanley, at Manchester, was gathering his retainers. At almost the same time he learned that Warwick and Clarence were galloping westward from Chesterfield, expecting him to succour them. Stanley’s nerve deserted him. He sent messengers riding in hot haste: one, to Clarence and Warwick with word that he was unable to help them; the other, to the King, protesting righteously that the Duke of Gloucester had attacked his people. Abandoning all hope of raising a following, Clarence and Warwick wheeled about and fled south. Clarence and Warwick, with their wives, managed to escape to France, where they were given a warm welcome by the officers of Louis XI. They would return to invade England the following year. Warwick would die at the Battle of Barnet, and Clarence would sneak back into Edward’s good books and fight for him at the Battle of Tewkesbury. So, within a very short space of time Thomas Stanley garnered two very strong reasons to resent Richard, who in the future, as Richard III, would again show support for the Harringtons. Were Thomas and his brother William men to bear grudges? Oh, yes. They waited until August 1485, Bosworth, and exacted full revenge. 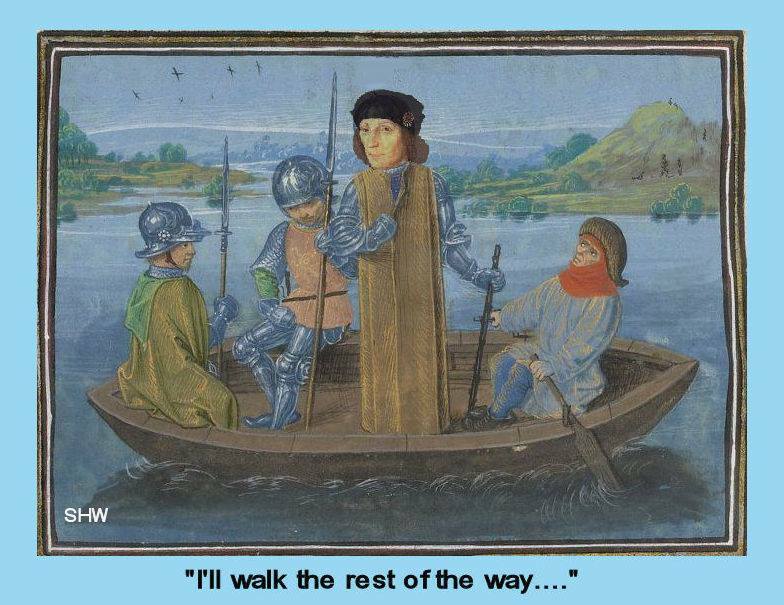 Thomas remained inactive in the battle (if he was there at all), while William pitched in on the side of Henry Tudor. As I said in my article on the Harringtons’ quarrel with the Stanleys, I think the outcome of Bosworth had much more to do with the past and bruised Stanley egos, than with Henry Tudor, Margaret Beaufort et al. Thomas and William Stanley merely concealed their real motivation behind a screen of new allegiance to Henry. * This ‘previous’ article has been moved, and now follows on 22nd July 2017. Sorry for the mix-up.